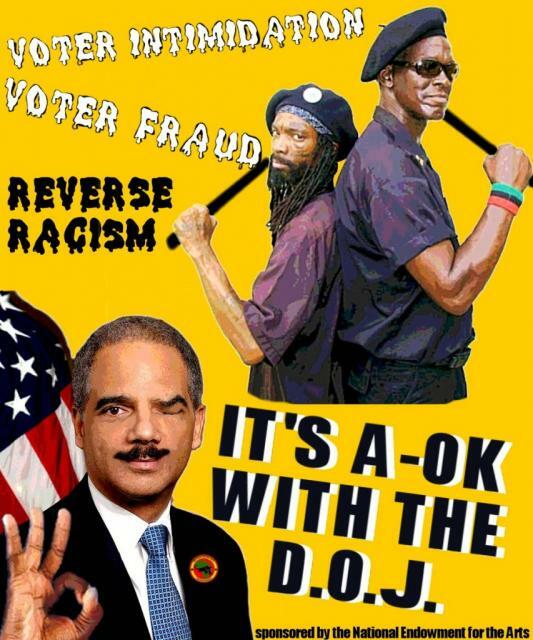 Voter Intimidation: OK by the DoJ. Civil rights cases that involve white victims are ignored, and wrongly abandoned a voter-intimidation case against the New Black Panther Party last year; the Black Panther case was dismissed following “pressure” by the NAACP and alleged "anger" at the case within the Justice Department itself. So who decides to enforce what laws, these days? The usual suspects?